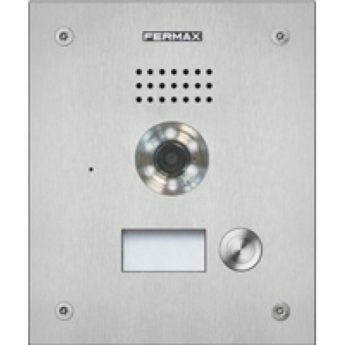 Fermax Marine Line ….. in stainless steel. Marine is the anti-vandal panel line manufactured in 2.5 mm thick 316 stainless steel. Straight lines that highlight the quality of the steel. State of the art technology and resistance to even the most corrosive, humid and dangerous atmospheres. The anti-vandal pushbuttons, made in stainless steel and with anti-blocking system, withstand any impact. Buttons include a card slot to insert a label with the name of the home owner and door number.